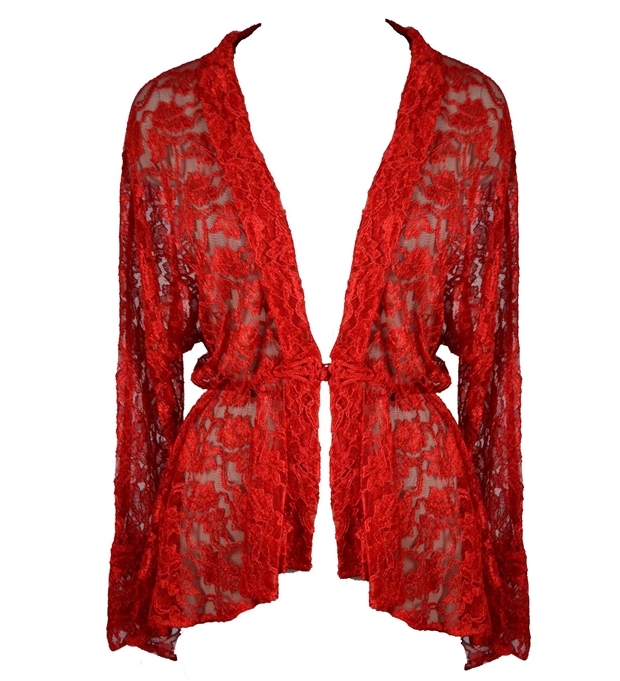 Dark Star Red Lace Gothic Duster Jacket w Frog Fastening [DS/JK/97R] - $69.99 : Mystic Crypt, the most unique, hard to find items at ghoulishly great prices! 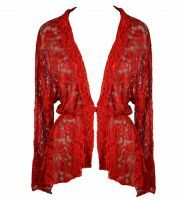 Dark Star Red Lace Gothic Duster Jacket w Frog Fastening A beautiful thick red lace gothic duster jacket with long sleeves. The sleeves down pointing and have a button closure at the wrist. The jacket is flared out and longer in the back. Very flowy. The bust is slightly open which will accommodate many sizes. There is elastic at the waist which allows this to fit a multitude of sizes. Front closes at the waist with a frog fastening. A very versatile addition to the gothic wardrobe.Please read measurements carefully!